Cruise around the Sacred Islands of the Ionian Sea! 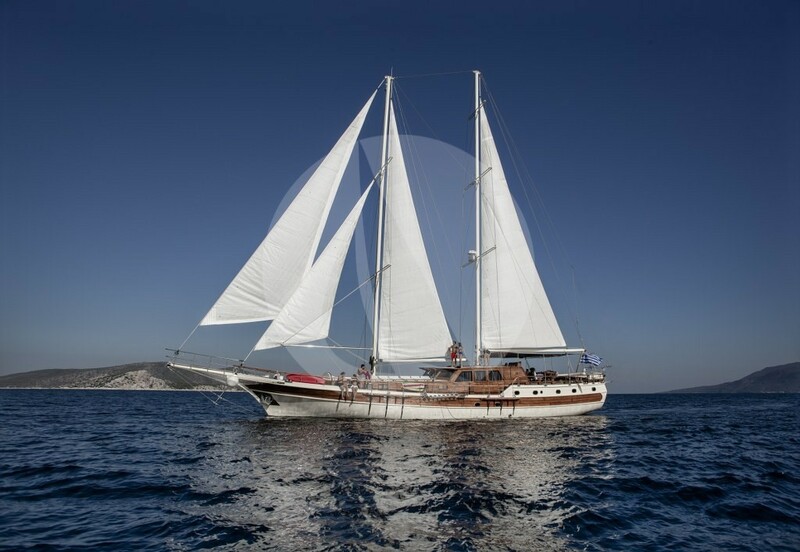 Sacred places where thousands of believers gather every year have been selected by Sail la Vie and united in an exclusive pilgrimage cruise around the Ionian Islands. The calm sea of the Ionian Sea in combination to most important spiritual sites of the Orthodox Church will take you on an unforgettable journey through Greece. 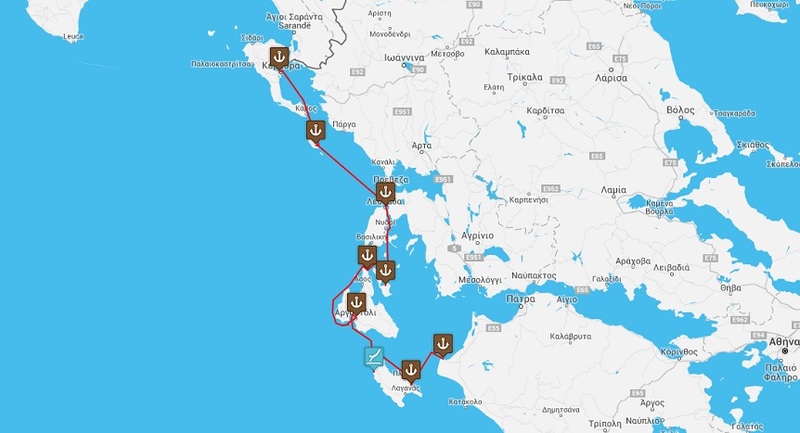 The highlights of the cruise are Metropolitan Cathedral in Athens, Church of Saint Dionysius in Zante, Monastery of Saint Gerasimos in Kefalonia and of course Corfu with the Church of Saint Spyridon. 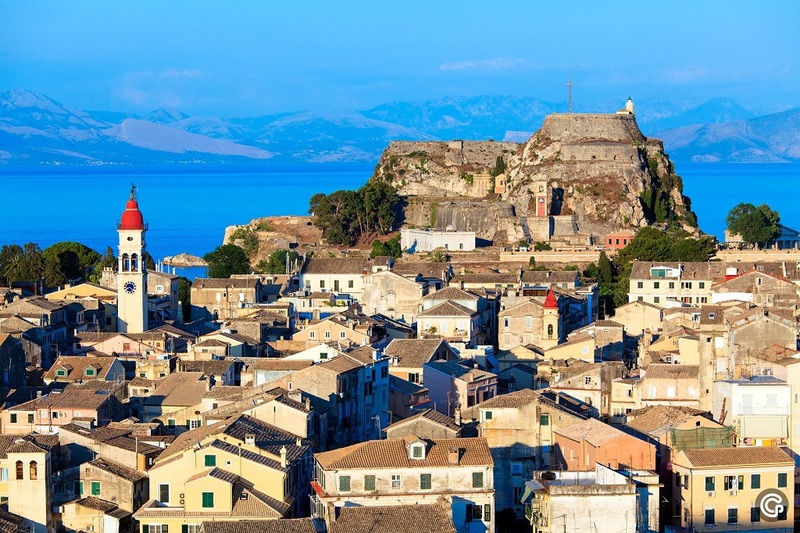 The cruise starts in Killini (with coach transfer from Athens) and ends in Corfu which gives you also time for experiencing the old city and visiting the famous venetian fortress. For more details please visit the Cruise Package section. 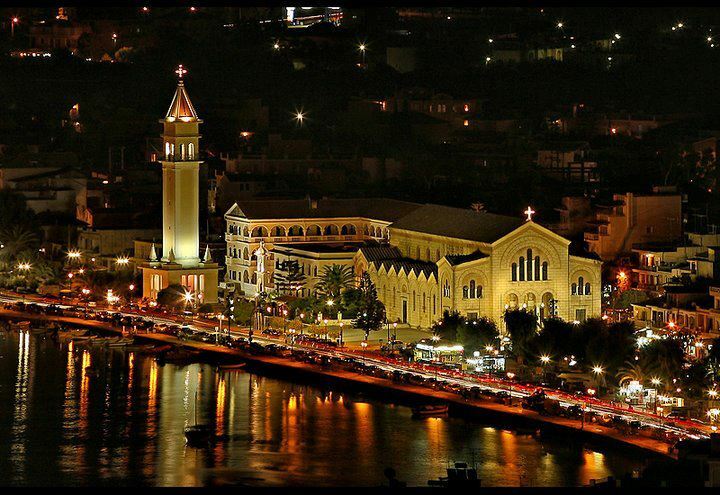 This church of Saint Dionysius is the biggest in the city and it is dedicated to the protector of the island. It was built in 1948 and it resisted the earthquake in 1953. With its high bell tower it stands out among the buildings of Zakynthos and is recognisable as soon as you enter the port. When entering the church you will be impressed by the quantity of frescos, lamp holders and colours. 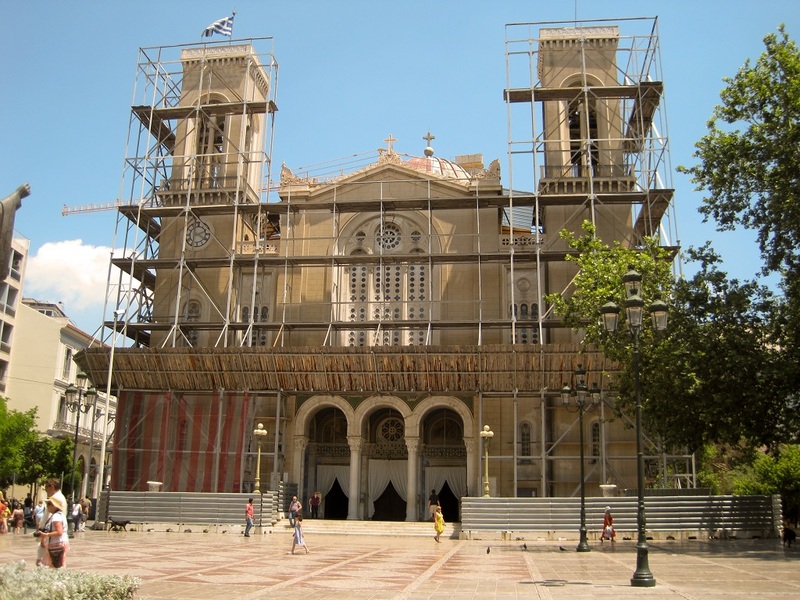 Among the artists who contributed to the magnificence of this church there are the painter Doxaras and the chaser Bafas who engraved the silver reliquary in where there are the mortal remains of Saint Dionysios. The Monastery of Saint Gerasimos, situated on the plateau of Omala, is the largest religious monument in Kefalonia. Saint Gerasimos is the patron saint of the island who has built the monastery himself. After a long journey to many sacred places of the world he decided to return to Greece and lived as a hermit in a cave near Lassi. 5 years later Gerasimos founded a new convent on the ruined chapel of the Assumption. Immediately all the local believers heard his preaching, and gradually his fame is spread throughout the Christian world. 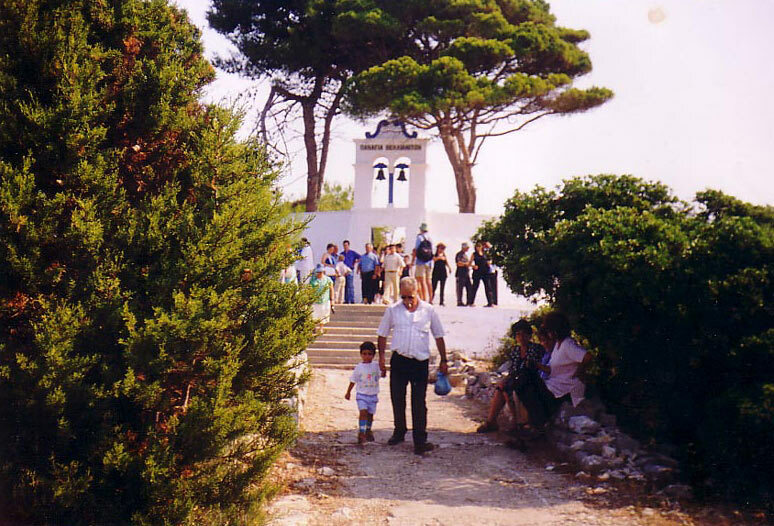 Moni Katharon is a site of pilgrimage and a reference point for anyone who comes from Ithaca. 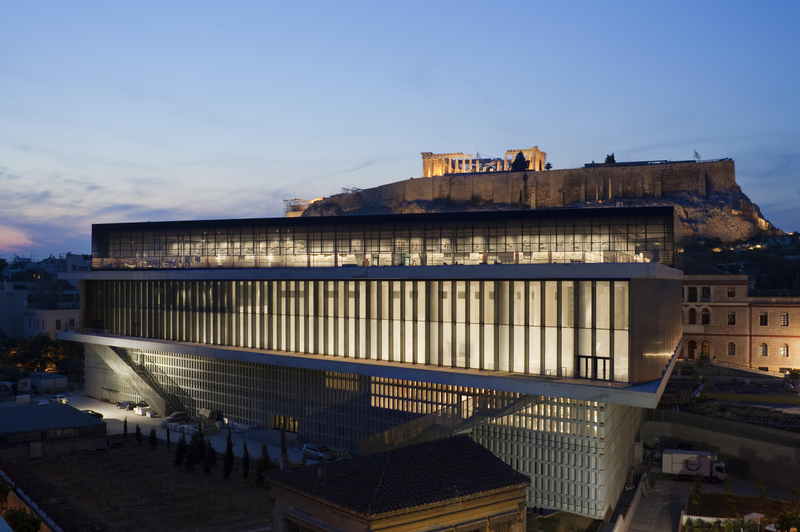 It is built on the peak of the Homeric Mountain Nirito, 15 kilometers from Vathi. The monastery ‘Moni Katharon’ was built around 1696 kept in very good condition until today. It is dedicated to Virgin Mary (Panagia) celebrated on September 8th. On the eve of the celebration at Iera Moni Katharon, on 7 th September, a traditional feast is held in the courtyard, and, on the next day, a litany of the miraculous image to the steeple of the church. The monastery offer lovely views over Ithaca and Kefalonia Island, don’t miss watching a sunset from the mountain top of Kathara. 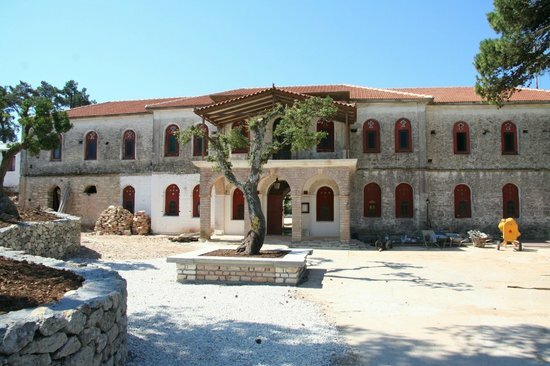 The Monastery of Panagia Faneromeni or Moni Faneromeni is the most important religious centre on the island of Lefkada. 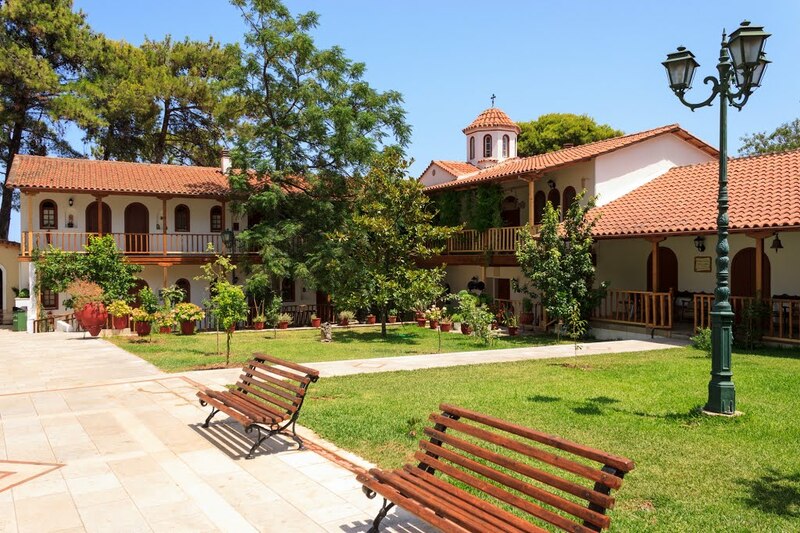 Situated in Frini, on the hilltop above Lefkas Town, this monastery offers a breathtaking view to the capital village, the northern side of the island and the opposite coasts of the mainland. History says the monastery was originally built in 1634 on the site of an ancient temple dedicated to Artemis, the goddess of hunting. Centuries ago students of Apostle Paul preached Christianity on the same site. Today the monastery also hosts an Ecclesiastical Museum with rare Byzantine icons, old manuscripts and gospels. Panagia is the islet of the Virgin Mary which is located in Gaios Bay of Paxos. 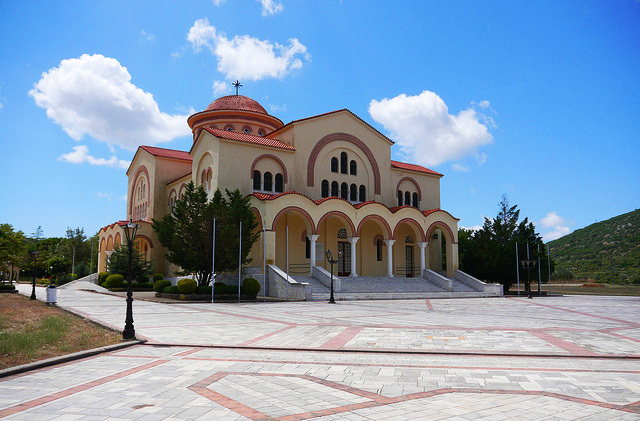 The Panagia Church on the islet is dedicated to the Assumption of the Virgin. It was built on an early Christian cruciform church, of which one part remains as a sanctuary. On the 15th of August the feast of the Dormition of the Virgin Mary is celebrated here. The Church of Saint Spyridon, patron saint of the Island, is situated in the heart of Corfu town just behind the Liston. The exterior of the church is typical of the Venetian architecture and its bell tower is the highest point in town. The top of the church is divided into 17 parts with golden frames painted by the artist, Panagiotis Doxaras, in 1727. The remains of Saint Spyridon are kept in a shrine inside the church and are carried around the town of Corfu four times a year to celebrate his miracles (Palm Sunday, Good Friday, August 11th, first Sunday of November). It is believed Saint Spyridon saved Corfu several times from dangers like plague, famine and in 1716 from the Ottoman attack. Therefore he is the most important and revered saint on the Island of Corfu and many men and boys are named after him. Prices include accommodation and half board meal plan on board (rich buffet breakfast and lunch or dinner every day), refreshments, fresh water, tea & coffee available all day, fuel costs for 4-6 hours cruising per day, transportation from / to airports of arrival and departure, leisure equipment on board, Tour leader / Pilgrimage expert, daily lectures about the destinations and its religious meanings, Excursions as mentioned on the daily programme.